Why do so many Americans (my own family included) persist in believing they have Cherokee blood? And why are there so many of us who believe our grandmother, or, great-grandmother, was a "Cherokee Princess"? Just kidding. This is actually "Zacharias Bones" and "Running White Fawn" of Wichita, Kansas, circa "recently." They illustrate a typical fantasy of many White Eyes (myself included). So, where did this In-din envy come from, and why Cherokees? "Throughout the South in the 1840s and 1850s, large numbers of whites began claiming they were descended from a Cherokee great-grandmother. That great-grandmother was often a 'princess,' a not-inconsequential detail in a region obsessed with social status and suspicious of outsiders. 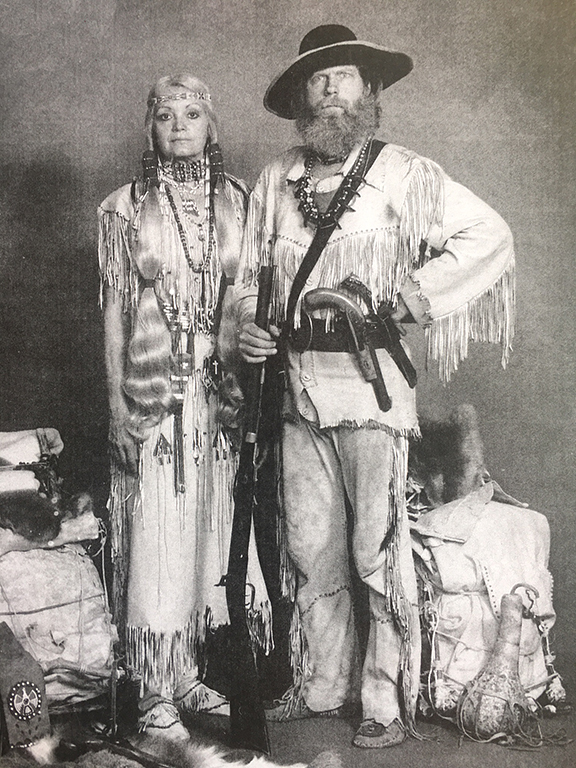 By claiming a royal Cherokee ancestor, white Southerners were legitimating the antiquity of their native-born status as sons or daughters of the South, as well as establishing their determination to defend their rights against an aggressive federal government, as they imagined the Cherokees had done. These may have been self-serving historical delusions, but they have proven to be enduring." "In 2000, the federal census reported that 729,533 Americans self-identified as Cherokee. By 2010, that number increased, with the Census Bureau reporting that 819,105 Americans claimed at least one Cherokee ancestor." Why Do So Many Americans Believe They Have Cherokee Blood? "If every white person who claims to have Cherokee blood is really Cherokee, our grandfathers would not have had time to sleep." I really am half Cherokee. . .on the Jeep side of the family. My grandmother went to her grave believing she had Native-American blood (though not necessarily Cherokee). She identified with Native-American Culture and had a house full of Indian-related items. I took a DNA test not to long ago as part of some genealogical research I was doing. Native-American ancestry: 0.0%. Sorry, Grandma. How many of those claiming Cherokee ancestors or any Indian ancestors have enrolled or even attempted to enroll in the Tribes?